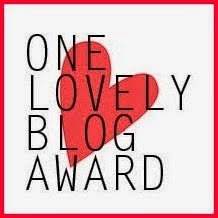 I am honored to have been nominated by another music teacher blogger- Melanie from Confressions of a Kodaly Music Teacher- for the One Lovely Blog Award! I teach and live in my hometown of Arlington, VA and I am lucky to love my job and my life here! Not many people think that moving back home sounds like a great idea, but it has worked out for me! I went to Westminster Choir College of Rider University in Princeton, NJ and received a Bachelors in Music Education and a Masters in Teaching- all in 4 1/2 years! I was a founding member of the Lambda Tau chapter of Sigma Alpha Iota- a professional women's music fraternity- at Westminster. My first job was actually a maternity leave position- 5 months of Elementary General Music teaching- for a teacher in Hamilton, NJ. Funny story- she was also the accompanist who played for the winter concert while I was student teaching at a high school in Robbinsville, NJ. Just in case you weren't already aware from reading this blog, I have totally immersed myself in the Twitterverse over the past 6 months. I just hit a huge Twitter milestone- 1,000 followers! If you haven't followed me already, please do, and I'll follow back! My handle is @mspatricianhfb. Here are my 15 blog nominations- this is always hard because a lot of the awesome blogs I read have already been nominated, but I'll try my best! Judith at Music at Malcolm Bridge Elementary! Congrats to my blogging peers for being so awesome and I hope you have fun finding some great teachers to nominate!! Hi! I am in my third year as a preK-5th grade general music teacher in Virginia. I previously taught in Hamilton, NJ. I graduated from Westminster Choir College of Rider University in Princeton, NJ with a bachelors degree in Music Education and a masters degree in Teaching. I also hold a Music Together preK teaching certificate and teach those classes outside of school.